My mind is a hamster wheel that’s always pushing me to do more, and while it helps me accomplish goals, I sometimes get stuck feeling like I’m never enough. 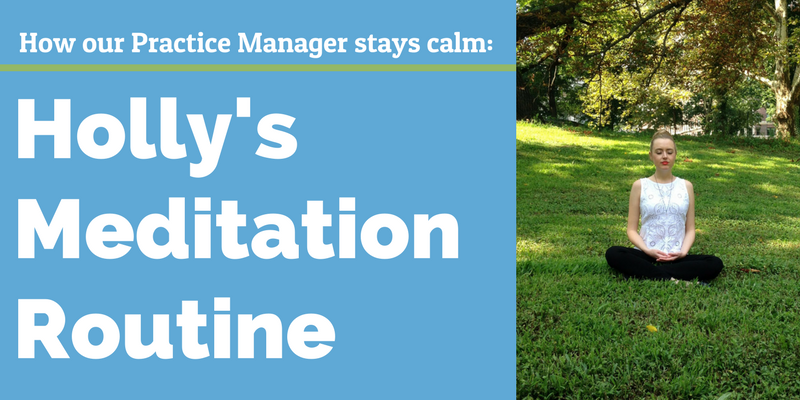 Meditation quiets my body, and helps to slow down the rapid-fire taskmaster in my head. For 15 minutes I get to be enough. It’s like a much needed mental hug. I use an app called headspace which has guided meditations geared towards specific topics (anxiety, sleep, relationships, etc.). I’ll meditate on my couch shortly after breakfast, or take a quick walk to the park during the day. I definitely notice what happens when I don’t meditate. If I go three days without taking my 15 minutes, I’ll notice that I’m a little more emotionally reactive to things, and I’ll even feel myself clenching my teeth throughout the day and night.